« Having a very large number of possible configurations to have an evolutionary product at the rate of the wishes and the needs " such was described the project to Philippe STARCK, who with his pencil line and his visionary spirit knew how to give life to the SPEETBOX. 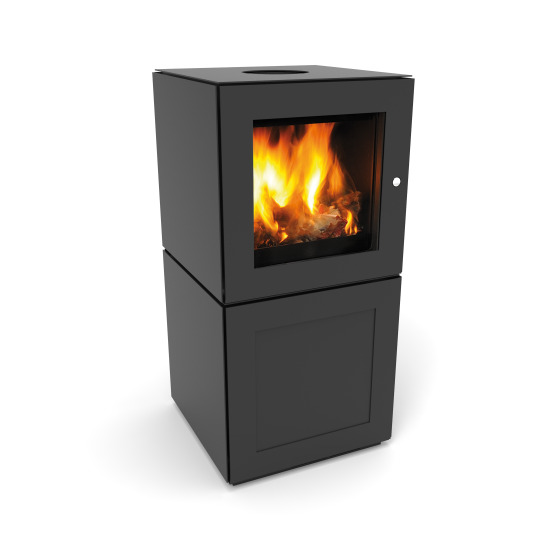 SPEETA arose from the repurchase of a company from Isère specialized in the design and the marketing of wood-burning stoves multi-energies. Company sister of IRFTS, specialized in the systems of photovoltaic integration, the goals shared by the 2 entities are a set of energy solutions renewable 100 % creation. SPEETA endeavour to the fact that the production remains inf France or even Regional. The SPEETA team started in this context from 2013. All driven by the will to propose on the market an innovating wood stove, mechanical engineers and electronics engineers put a lot to think and develop what will become afterward the SPEETBOX, a furniture of high-performance heating which is articulated around a regulated tight wood stove. 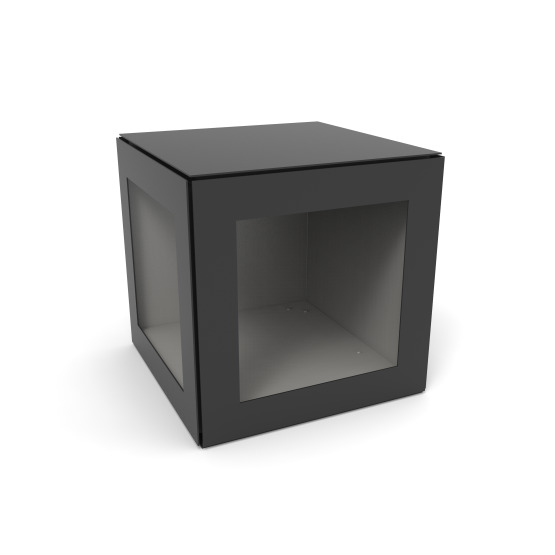 In March 2015, after two working years, SPEETBOX BY STARCK is officialy presented to the trade show FLAM'EXPO in Lyon, where she’ll get the Prize of Innovation. The IRFTS company went in search of a partner, to assure the business development of the young structure, 80 % of parts of which will be sold at the end to the Group Seguin on January, 2016. For Aymeric de Galembert, CEO of Seguin, « Speeta completes our range of products and our skills. Our R&D has already worked some of these technical aspects, but we have now a complete system with a nice design ». From February, Group Seguin presents officially the international SPEETBOX, on the occasion of the trade show PROGETTO FUOCO in Verona, during a press conference together with Philippe Starck. Group SEGUIN is a French family group manufacturer of wood-burning heating appliances. Based in Auvergne, grouping SEGUIN ( Puy de Dôme ), AXIS ( Ain) and JC BORDELET ( Hérault) companies, and also representing leading brands PIAZZETTA ( Italy) and HWAM ( Denmark), it is one of first market players. Represented in more than twenty countries, SEGUIN has a strong and faithful network of 150 retailers in France.